Ed Searcy urges recovery of ancient names for Christian community. I suspect that this shift in language has been made in order to include ministries that are not patterned on a congregational template. This generic designation is also seen to allow for a sense of shared identity when in an interfaith context. Some report it is language that is invitational to seekers. First, by speaking of religious communities as ‘faith-based’ we reveal our captivity to modernity’s definition of faith. In this modern paradigm those who live in the ‘real world’ of the market and of military might are not living by faith. Such people are “realists” who base their judgments on facts and figures. Yet coming to the conclusion that this ‘real world’ is ultimate reality is itself an act of faith. Everyone lives by faith in something or someone. There is no community that is not living by faith. The church is called to reveal the illusory nature of the so-called ‘real world’ which pretends that it is not based on faith. Adopting contemporary culture’s designation of the church as a ‘faith community’ suggests that we have forgotten that the offers of a good life marketed on all sides are offers based on faith. The second problem with calling the church a ‘faith community’ is that this focuses attention on us. The issue becomes our faith or lack thereof. The human actors in the drama become the subject. Then theology (talk about God) is essentially anthropology (talk about us). We get to God through our faith. In this we imagine that Christianity is akin to every other religion. All religions, we assume, are about the human desire to connect with the divine. This is what we mean, so we think, when we identify ourselves as participants in a community of faith. Before we know it our worship and our life together puts the emphasis on us, on our needs and desires, on our doubts and our beliefs. God becomes the backdrop on which the human drama unfolds. But the drama at the heart of Christianity is not human faith in God. The drama at the heart of Christianity is the faithfulness of God revealed in Jesus Christ. God is the subject, the church is the predicate. In Jesus’ life, death and resurrection we discover that the God who has promised to save and heal is carrying through on those promises. The faith of the church is the result of the faithfulness of God. Our faith is a sign of God’s faithfulness. Such faith as we may have in God is a gift the Holy Spirit – a gift from God. To say that the church is a community of faith is to say that it is a community that is always being formed by God’s faithfulness. The emphasis is to be on God’s faithfulness rather than on our response. Alas, while we may pay lip service to God our sermons and board meetings often move immediately to the matter of how we will accomplish what God is apparently leaving undone. Parker Palmer has called this temptation in the church our ‘functional atheism.’ While we speak about God we do not act in ways that suggest we trust God to be redeeming creation and us with it. The first Christians were called people of ‘The Way’ (Acts 9:2). This identifies disciples of Jesus as a people who think and act and live in the Way of Christ. This is much more specific than ‘faith communities.’ It reminds us of the oddness that sets apart Christian communities because of the faithfulness of Jesus. Early Christians also called their communities ‘Ekklesia’ (as in ‘ecclesial’). They borrowed this title – that means ‘called out to meet’ – from the gatherings of free men who met to discuss matters of importance. Now slave and free, male and female, Gentile and Jew were gathering in a new kind of Ekklesia because Jesus, the Servant Lord, was the head of this surprising household (for a contemporary example visit the Ekklesia Project). The oldest name for Christian gatherings was inherited from its Jewish roots. It is the word ‘synagogue’ or ‘gathering,’ often translated as ‘congregation.’ The congregation is made up of those being caught up in the drama of the faithfulness of God. The recovery of names such as these is a useful corrective to the generic language of ‘faith community.’ Along with recovering ancient names for Christian community, I suggest we encourage one another to be creative with contemporary language in order to name something of the peculiarity, specificity and wonder of Christian communal life today. 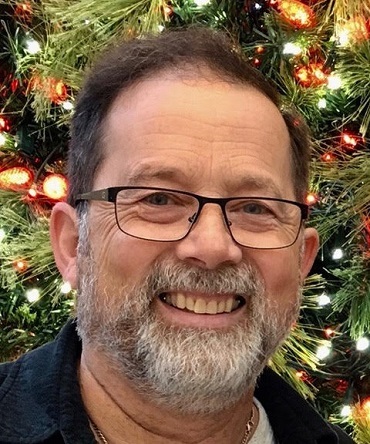 On his holy scribbler blog, Ed Searcy describes himself as “a preacher and a scribbler living with multiple myeloma,” Ordained by the BC Conference of The United Church of Canada in 1980, he served pastoral charges in Manitoba, Surrey and Richmond before being called to University Hill Congregation in Vancouver in 1995. In 2015, the year he retired, he received the Doctor of Divinity Degree (Honoris Causa) from the Vancouver School of Theology. During his time at University Hill, he was instrumental in creating the Christian Seasons Calendar, which is now used around the world. Walter Brueggemann was one of his advisors when he did his DMin at Columbia Seminary in Georgia, and Searcy edited one of Brueggemann’s books, Awed to Heaven, Rooted in Earth. This comment is re-posted by permission from the holy scribbler blog. ← Around Town: United Church housing, song for Sedins, Village Church site . . . If the church could manage to gather together without the physical and governmental infrastructures, it would make naming a lot easier, or perhaps a bit redundant. They know us by the Spirit of God within us and the answer we give them when they ask. As Christians, we have a tendency to complicate matters beyond necessity.